(Bloomberg) -- New York collected $2.3 billion less income-tax revenue than predicted for December and January, a development that Governor Andrew Cuomo blamed on wealthy residents leaving for second homes in Florida and other states that received more favorable treatment in the tax law enacted by President Donald Trump and the Republican Congress. 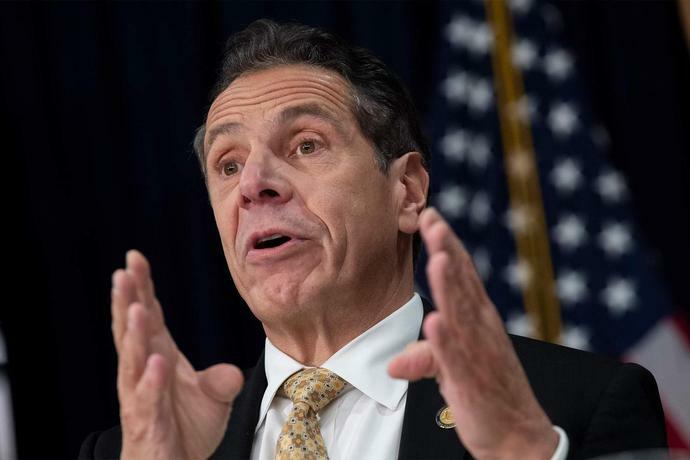 "There is no doubt that the budget we put forward is not supported by the revenue," the Democratic governor said during a news conference in Albany. "If even a small number of high-income taxpayers leave, it has a great effect on this tax base. You are relying on a very small number of people for the vast amount of your tax dollars." While acknowledging that stock market volatility is among several factors that may have suppressed income-tax revenue in the past two months, the governor placed most of the blame on Trump and the Republican-dominated Congress of 2017, which enacted a tax plan limiting federal deductions on real estate and other local taxes. He vowed to pursue legal challenges against the tax plan, citing its unequal impact, increasing tax liability for residents of New York, California, New Jersey and Connecticut, while reducing it in southern states such as Florida, where many of New York's wealthiest residents own second homes. "They are investors, they have accountants, they are making informed decisions," Cuomo said. "This is going to be the tipping point and people will now be making a geographical change."